The differences between legal guardianships and adoptions are rooted in their historical origins. Open adoptions, in which a child was familiar with both his adoptive and his birth family, routinely took place in ancient Greece and the Roman empire. Adoption disappeared in the Middle Ages because medieval civilization placed a high value on family blood ties. Formal adoptions did not appear in American state law until 1851. Legal guardianships also existed in ancient Greece and the Roman Empire. Guardianships as a legal concept continued throughout the medieval and modern era in British and American law. Children placed in guardianships were referred to as "wards" of their guardians. Legal guardianships were the primary way to protect orphans and abandoned children before adoption made a comeback in the modern era. If you adopt a child, be prepared for a more complex approval process than you would face as a potential guardian, including a rigorous home study by a social worker that can last for months. To adopt your child, you may spend a little or a lot: $2,500 or less if you are adopting an older child in foster care; or more than $40,000 if you are adopting an infant through a private adoption conducted by an attorney. Adoption gives a child the same legal status as if he were your biological child. If you die without a will, he can inherit from your estate in the same manner as your biological children and relatives. His birth parents have no legal right to his custody and are not obligated to help support him. Each state has different laws governing its adoption process, listed in the Child Welfare Information Gateway report, "Online Resources for State Child Welfare Law and Policy." A guardianship gives you custody and control of a child until he is 18 years old, unless his birth parents can prove that they are able to resume custody of him before he reaches age 18. Legal guardianship gives you the responsibilities of a parent -- feeding, clothing and schooling the child -- but the child is not considered to be your child in the eyes of the law, and cannot inherit from your estate unless you make a special provision for him in your will. 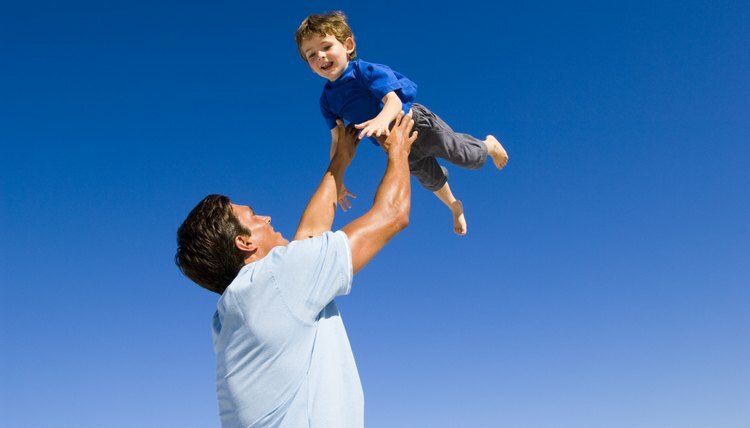 Every state has different procedures for obtaining guardianship of a child. Bridging Refugee Youth and Children's Services has collected links to the different state guardianship laws in a paper titled "Guardianship Information by State." At the time of publication, the legal costs of a guardianship proceeding for a child can range from as little as $106 for an uncontested guardianship petition court filing fee, to thousands of dollars if the child's guardianship is contested in a court battle, according to Fleming & Curti's online essay, "Guardianship for Minors." The best method for you and the child depends on your goals. If you want to provide a stable home for a child but leave open the possibility that the child's parents could reclaim him, then a legal guardianship is your best choice. If you want the child to become a permanent part of your family, adoption may be your best option. Child Welfare Information Gateway: Adoption -- Where Do I Start?